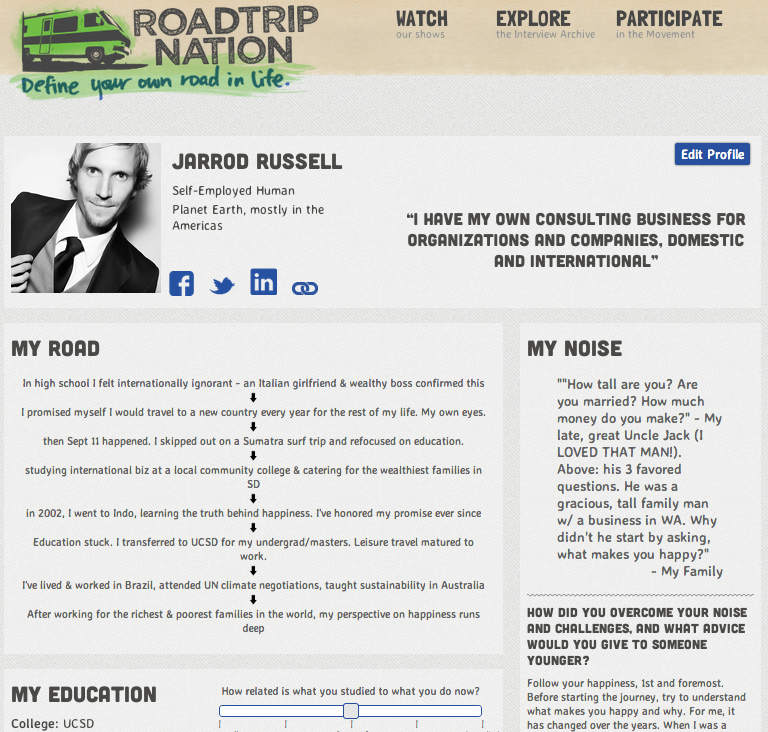 This entry was posted in Projects I like on September 30, 2013 by jarrodmrussell. This entry was posted in Projects and tagged carbon tax, citizens climate lobby, Climate Change, epipheo, video production on September 27, 2013 by jarrodmrussell. 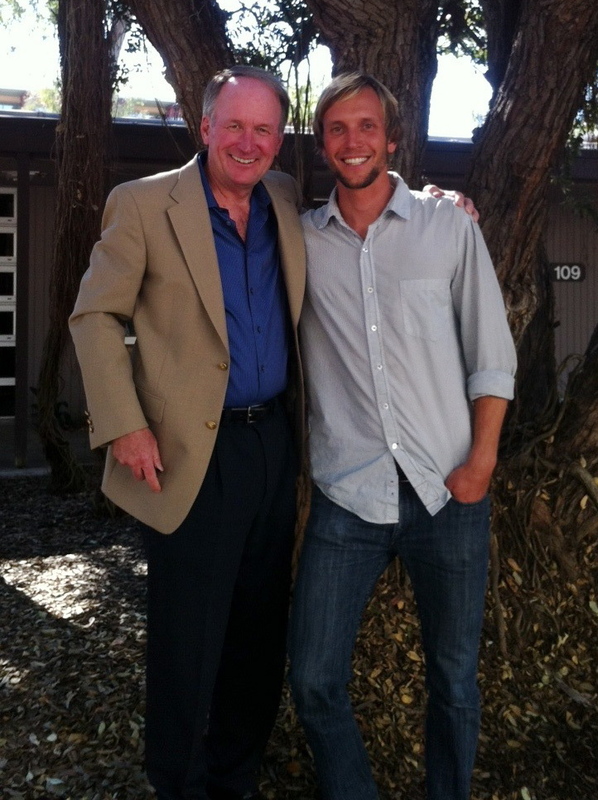 Byron and I at UCSD in 2011. He was and continues to be such an incredible mentor. Here he is when we first met. I was interviewing him on a climate change initiative I started on campus at UCSD while I was a grad school student. This entry was posted in Climate Change, Thought Leaders, Video for Thought and tagged byron washom, hawaii, Jarrod Russell, Lanai, larry ellison, micro grid, renewable energy, san diego, sustainability, UCSD on May 27, 2013 by jarrodmrussell. Hi from Sinal do Vale in Xerém, Brazil and Merry Christmas Eve. I am at a friend’s sustainable farm and retreat in the hills above Rio de Janeiro!!! Just what I needed for the holidays. I got here the day before yesterday after an amazing trip to Paraty, a colonial beach town a few hours from here, where some friends and I attended a beginning-of-the-world party at the city’s Cultural Center. We were invited to Paraty by Edgar Gouveia Jr, an architect specializing in bioarchitecture and intuitive technology with a post-degree in cooperative games. He is also the founder of Elos Institute and Warriors Without Weapons program. This guy is at the forefront of applied research on how to change the world. As it so happens, this particular night, December 21, also marked the launch of Edgar’s online game – Play the Call – that aims to change the world — for real. Thousands of programers from around the world, including employees at Pixar, have contributed their time to the cause. Here he is a couple years ago on TEDx Amazonia (it’s in Portuguese…). Edgar is an amazing human that makes you believe, through his positive energy and optimism, that anything is possible. I tip my hat to him and the rest of the Play the Call team. Best of luck guys! This entry was posted in From the Field, Thought Leaders, Video for Thought on December 24, 2012 by jarrodmrussell.